The story begins with the 1672 lynching of the Dutch Grand Pensionary Johan de Witt and his brother Cornelis by a wild mob of their own countrymen, considered by many as one of the most painful episodes in Dutch history, described by Dumas with a dramatic intensity. The city of Haarlem, Netherlands, has set a prize of ƒ100, 000 to the person who can grow a black tulip, sparking competition between the country's best gardeners to win the money, honor and fame. 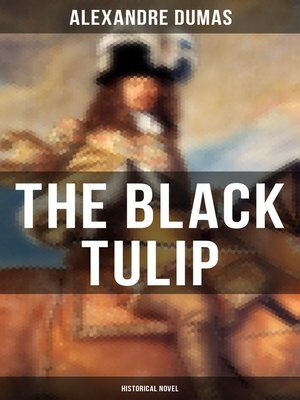 Only the city's oldest citizens remember the Tulip Mania thirty years prior, and the citizens throw themselves into the competition. The young and bourgeois Cornelius van Baerle has almost succeeded but is suddenly thrown into the Loevestein prison... Alexandre Dumas, père (1802-1870) was a French writer whose works have been translated into nearly 100 languages and he is one of the most widely read French authors. His most famous works are The Count of Monte Cristo and The Three Musketeers.